Pink is a color that has been traditionally associated with femininity and everything seems to be in an overload of pink when you start shopping for little girls. 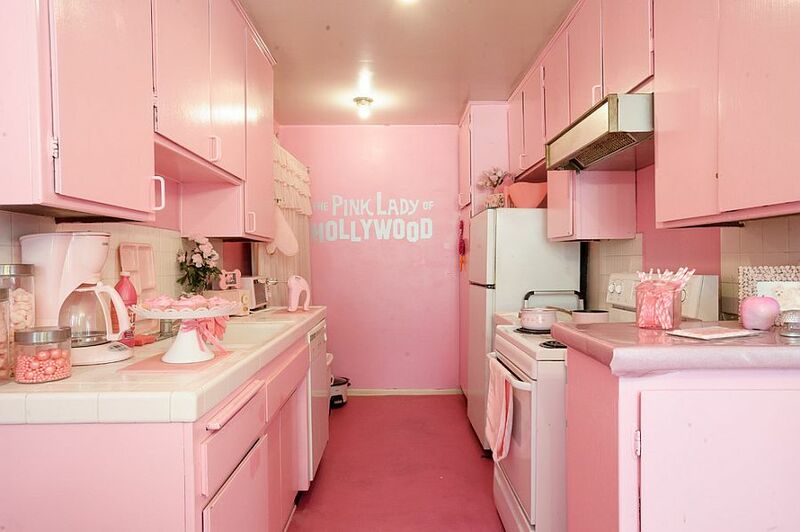 But pink can be an effective color even when used in rooms beyond the girls’ bedroom. 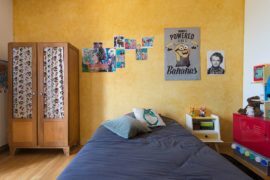 We have seen the color making a foray into adult bedrooms and living rooms with plenty of success in the last few years. 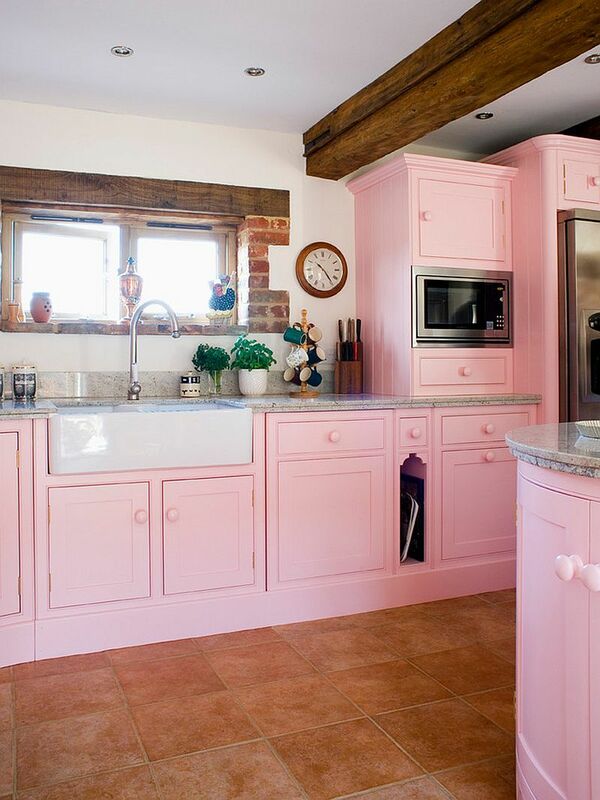 But, the latest trends sees pink take a step further and enter into the modern kitchen. 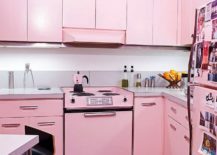 Yes, the second half of 2018 has seen a smart new trend emerge in kitchen design – the presence of pink; sometimes as an accent hue and at times as a color that shapes the backdrop entirely. 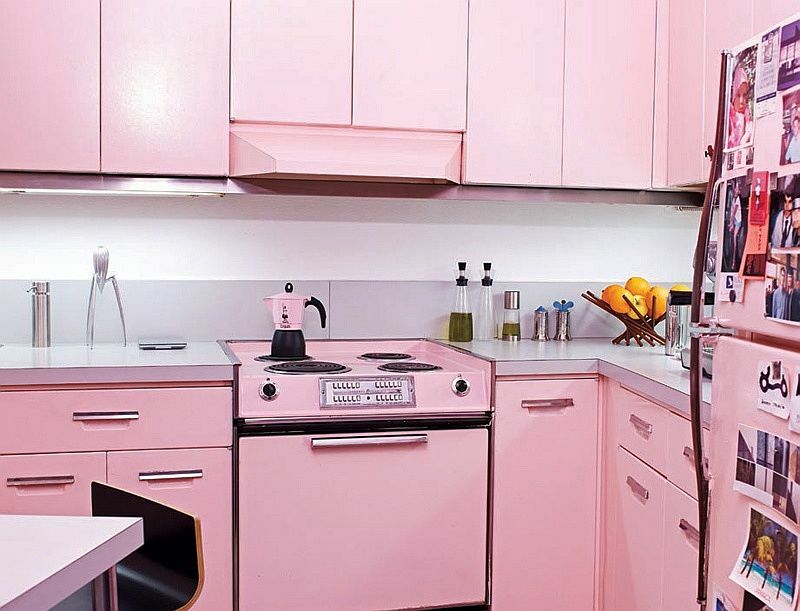 Pink in the kitchen is not a natural choice for most of us. 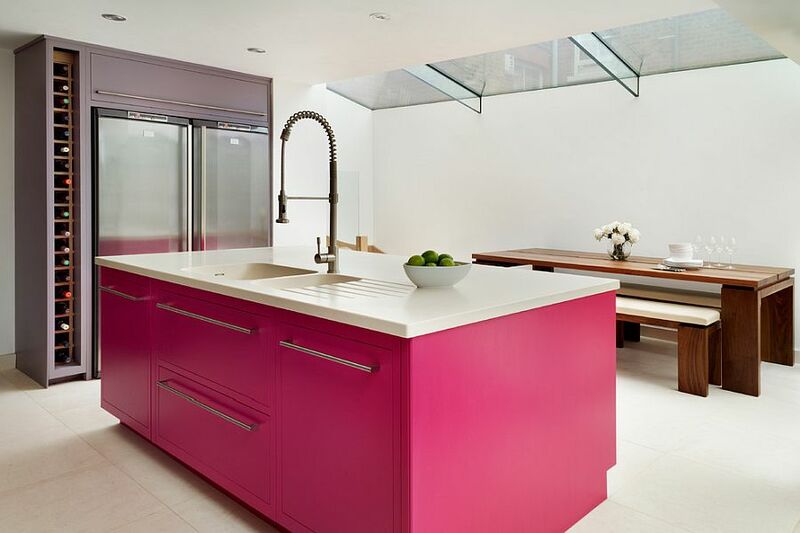 In the modern kitchen where bright color feels like a rarity, pink is a hue that gets even less attention. 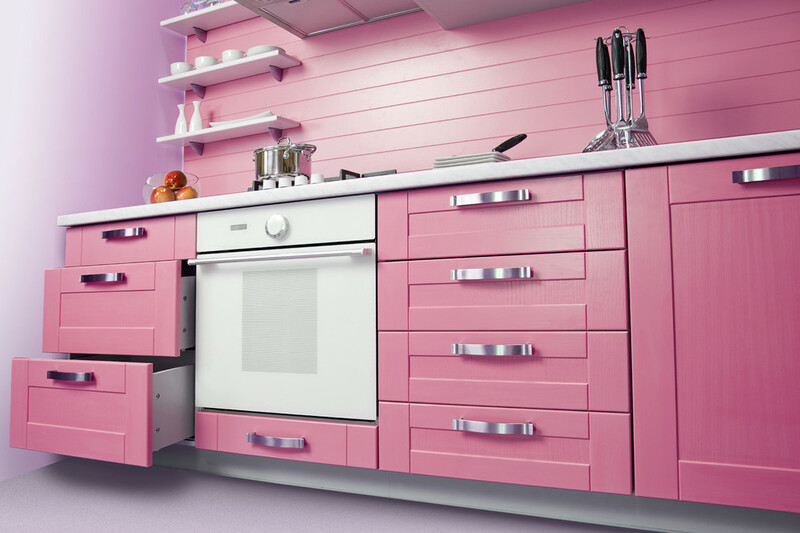 But try out pops of pink in the kitchen and you will instantly see the impact that it makes visually. 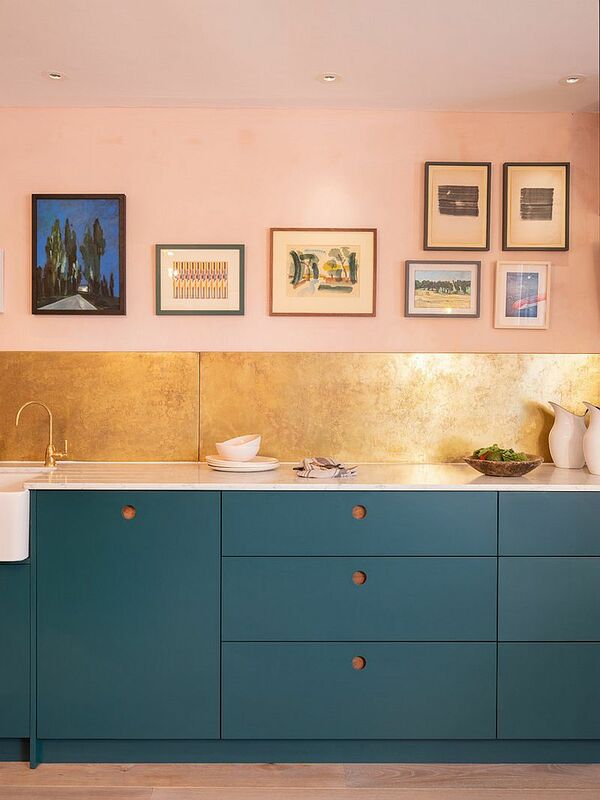 Beyond the often used blues and yellows, pink feels like a breath of fresh air. Still unsure, check the inspirations below before you make a final call! 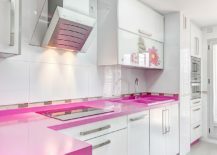 Those who want to give their kitchen a charming, unique and smart backdrop can try out trendy shades of pink this winter. Pink falls in perfectly with the festive theme of the season and changing the color of the backdrop does not demand too much time or effort. 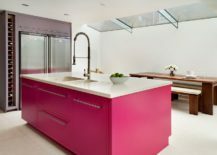 You can start with picking a shade of pink that you love and feel is apt for the kitchen (a task we will get into greater detail shortly). 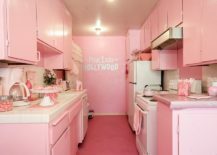 While adding an accent wall in pink for the white kitchen is all too easy, shaping an all-pink kitchen with even cabinets and island in the same hue is far trickier. Make sure here that you are absolutely happy with the look as it can get overwhelming pretty fast. Just a Dash of Pink Power! 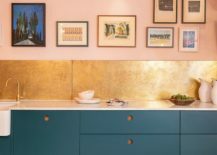 Adding accents in pink is a task that is far easier than completely altering the backdrop itself. 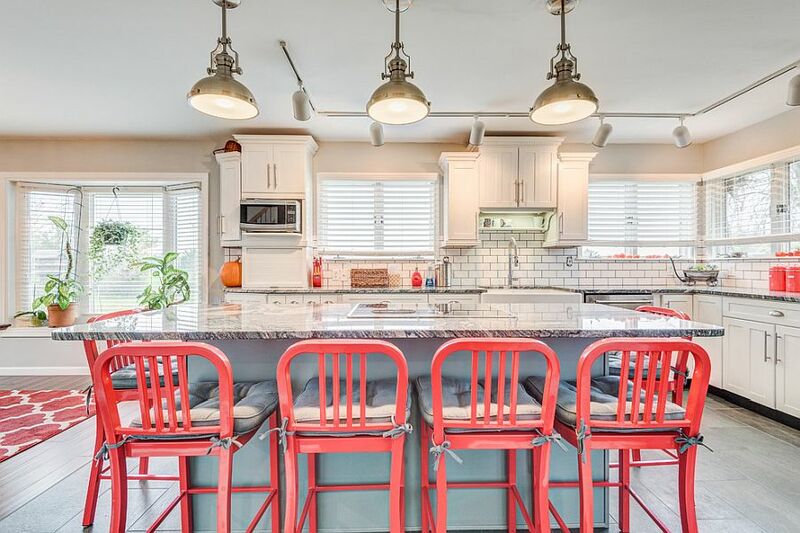 Pink accents fit in snugly along with shades of red, orange and violet in the kitchen. 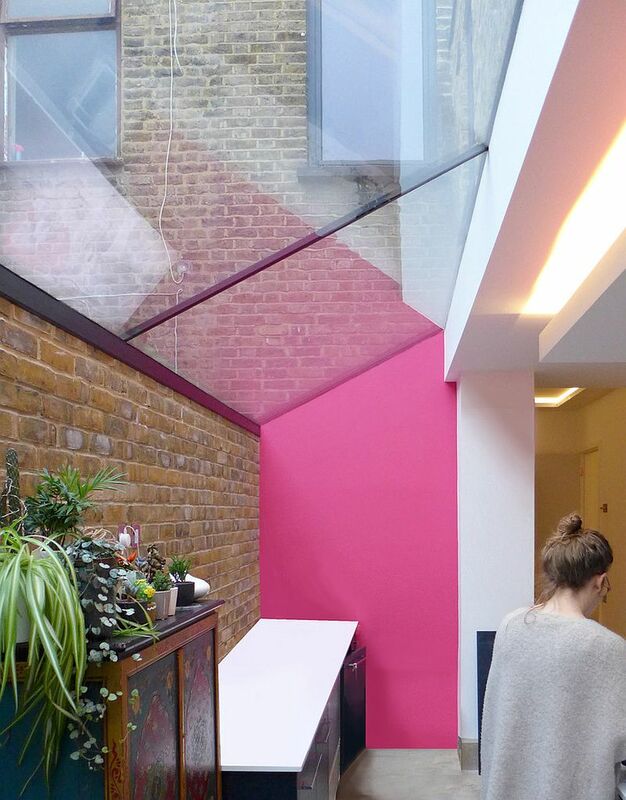 Surprisingly, blue and pink is another color combination that feels both organic and elegant. 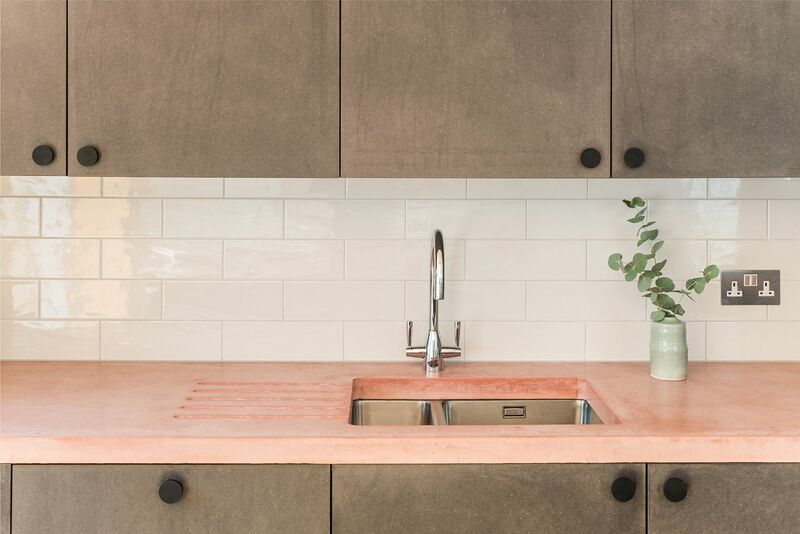 Everything from bar stools, vintage refrigerators, and appliances can be used to add a hint of pink to the neutral kitchen. 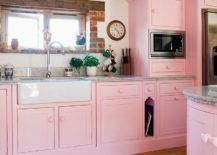 Style feels secondary here as everything from the modern minimal kitchen to rustic and farmhouse settings seem inviting of pink accents. 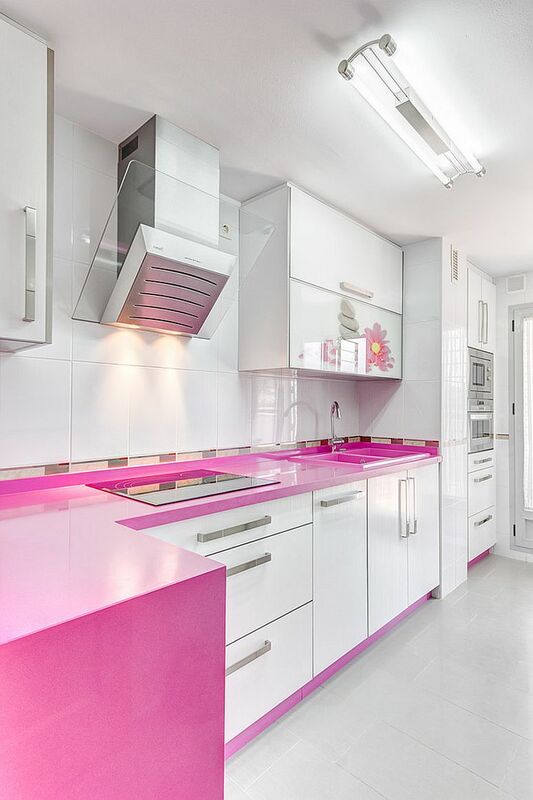 The hardest part of adding pink to the kitchen is picking the right shade. 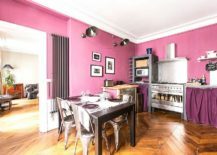 A color that combines shade of violet with a dash of pinkish glow seems popular for those who wish to introduce it in a modest manner. 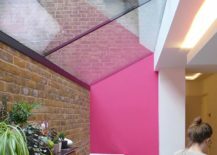 If you want to use it in a more extensive manner, then use pinks in matte finish and pastel hues as too much of bright pink can feel ungainly. 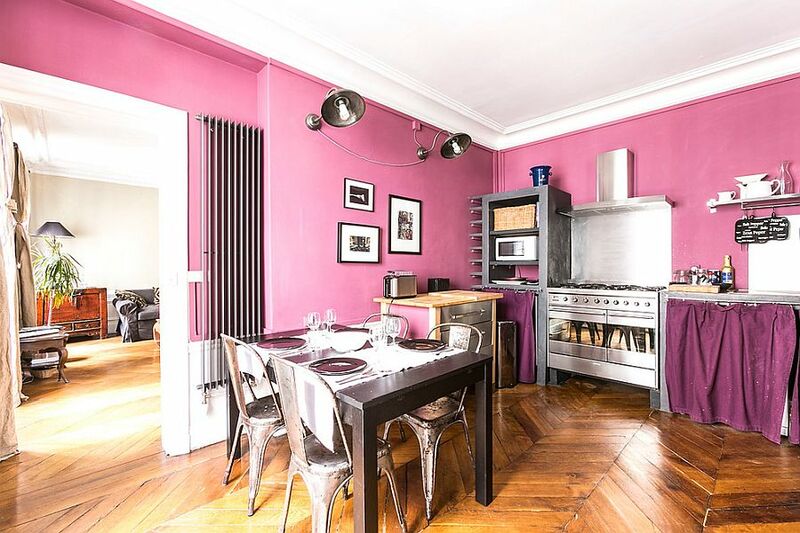 The shade of pink you choose matters even more when there are other bright colors in the kitchen. 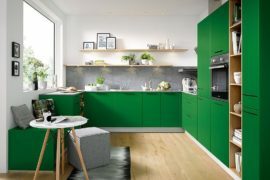 Repeat the accent colors elsewhere to create a curated and smart kitchen that fits into the open plan living.